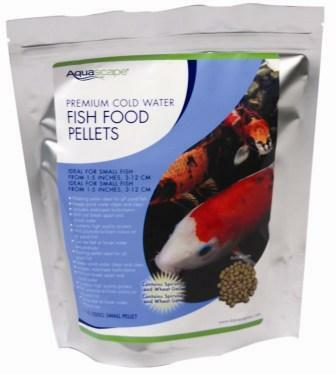 Aquascape Premium Cold Water Fish Food Pellets have been scientifically formulated to provide premium nutrition to all pond fish including goldfish and koi at colder water temperatures. Crude Protein = 38% min. Crude Fat = 4% min. Crude Fiber = 3% max. Moisture = 10% max. Ash = 12% max. Calcium = 0.8% min. Phosphorus = 0.8% min. Vitamin A = 9,000 IU/kg min. Ascorbic Acid (Vitamin C) = 230 mg/kg min. Vitamin D3 = 1,800 IU/kg min. Vitamin E = 200 mg/kg min. 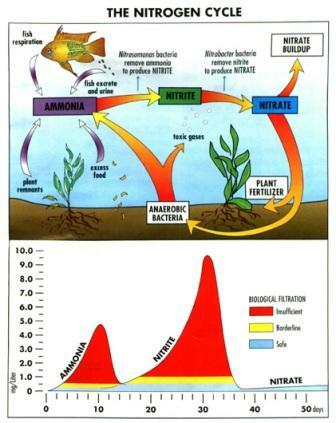 TOTAL MICROORGANISMS MIN 600 MILLION CFU/LB: Bacillus subtilis, Bacillus subtilis natto. Main Ingredients: Wheat germ meal, wheat flour, fish meal, salt, lecithin, astaxanthin, mossasses, yeast, calcium ascorbate, iron proteinate, assorted vitamins.